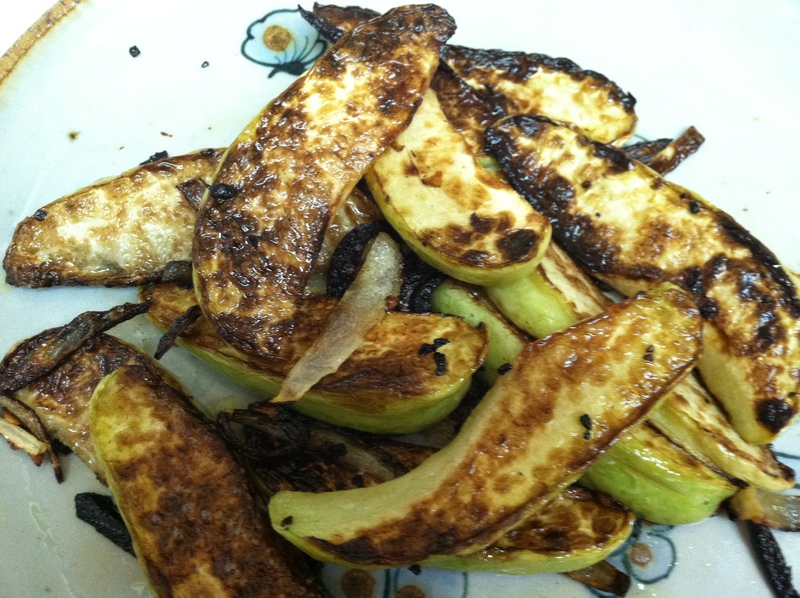 Fry seasoned chayote & onion in hot oil until it starts to blister. Add crushed garlic toward the end so it doesn’t burn. Patiently wait for it to cool before eating!